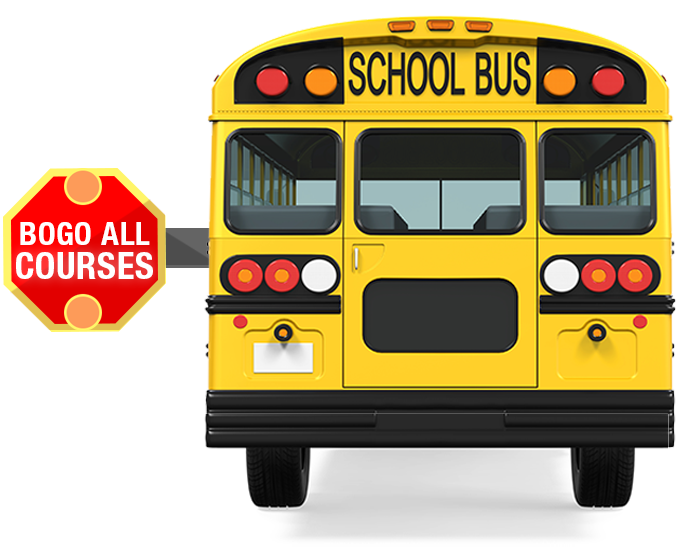 HATE GETTING STUCK BEHIND SCHOOL BUSES? Well, here’s a deal you can get behind…and learn something! All self-study courses in our CE Learning Library are BUY 1 GET ONE FREE through MIDNIGHT TONIGHT! Visit CE.TodaysDietitian.com to choose your two courses, place them in your cart and use Coupon Code BUSBOGO to take advantage of our BOGO Back-to-School special. Coupon code can be used multiple times, but must be applied to two courses at a time only. So, even though your morning commute is taking longer now that school’s back, at least you can learn something for less if you get behind this deal. Visit CE.TodaysDietitian.com to review our full course catalog. *CE Club Memberships, books, book exams, webinars, and multi-part courses are not eligible for this offer.